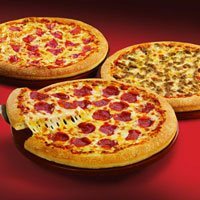 Pizza Hut, founded is the home of the Original Pan® and Original Stuffed Crust® Pizza. With easy ordering options including the Pizza Hut app, mobile site, and smart home devices, Pizza Hut is committed to providing an easy pizza experience – from order to delivery. I love pizza hut. It is great. It's great! Great food great service. Prices are great too.